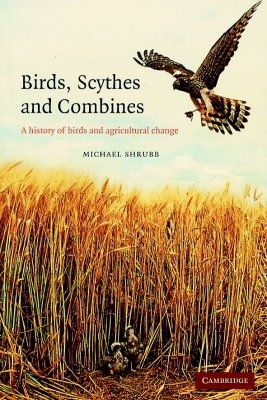 First published in 2003, "Birds, Scythes and Combines" provides an historical perspective to changes in farmland bird populations in Britain over the past 250 years. Despite the scale of change in habitats and agricultural methods in the late eighteenth and nineteenth centuries, early avifaunas show that farmland birds were little affected. Specialised species of fen and marsh were lost, often as much to persecution as habitat destruction, but farmland birds benefited from the appearance of extensive new resources which aided their adaptation to the altered habitats created by the new farming methods. In addition, many old permanent grass habitats were little altered, leaving a major reservoir of important habitats unchanged. By contrast, more modern farming methods, with changes in grassland management, in herbicide use and in harvesting methods particularly, have led to a collapse in the diversity of farmland and a consequent steep decline in the population size of a high proportion of farmland birds.